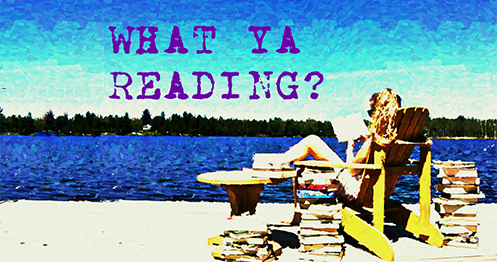 Heist Society | What YA Reading? When Katarina Bishop was three, her parents took her to the Louvre… to case it. For her seventh birthday, Katarina and her Uncle Eddie traveled to Austria… to steal the crown jewels. When Kat turned fifteen, she planned a con of her own–scamming her way into the best boarding school in the country, determined to leave the family business behind. Soon, Kat’s friend and former co-conspirator, the gorgeous Hale, appears, pulling her back into the world she has only just escaped. But he has a good reason: a powerful mobster’s priceless art collection has been stolen, and he wants it returned. Now. Only a master thief could have pulled off this job, and Kat’s father isn’t just on the suspect list, he is the list. Caught between the Interpol and a far more deadly enemy, Kat’s dad needs her help. Kat’s solution: track down the paintings and steal them back. So what if it’s a spectacularly impossible job? She’s got two weeks, a teenage crew, and, hopefully, just enough talent to pull off the biggest heist in her family’s (very crooked) history. And, with any luck, she just might be able to steal her life back along the way. I can count on one hand all the times I’ve read a book about thieves– and they’re all Nancy Drew s. Heist Society is a refreshing, atypical book from a criminal’s point of view, and I enjoyed it as one might enjoy eating a foreign chocolate: marveling at the conspicuously new taste, and immediately wanting more. Katarina Bishop is three months into her new, normal, life at boarding school. She’s decided to call it quits with thieving and say adios to her family and its shady history–that is, until she gets expelled and her dad is threatened by a powerful art collector named Arturo Taccone who thinks he stole his paintings. Kat has 14 days to get Tacconne’s paintings back, or she’ll have to kiss her dad goodbye–for real, this time. So with the help of a crew from her not-so-former life, Kat tries to re-steal the paintings. Oh, wait. One little problem: She doesn’t know who stole them in the first place. 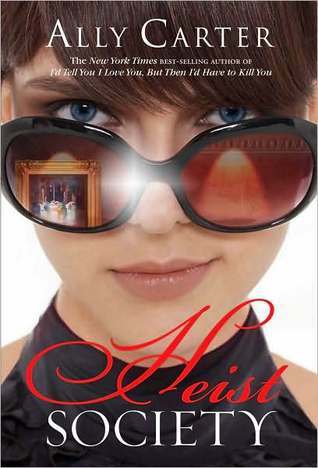 Heist Society is a mystery that had me hooked since the first chapter– an adventurous page-turner that kept me up at night. First of all, I loved the culture. Fictional or not, the paintings that Kat tries to find are well-described and beautiful. The museums that she frequents are realistic and grand. Heist Society‘s world building is amazing, complete with a history so detailed that it makes you doubt that it is simply the figment of one talented woman’s imagination. Additionally, I have respect for Kat. She is a heastrong, stubborn, savvy heroine whom I found very down-to-earth and relatable, which is a great feat, considering all she is trying to do is steal paintings for the majority of the book. I’m also quite glad that, although there is the potentiel for it, as well as the potentiel for a love triangle, there is no actual romance in Heist Society. I’m happy about this because, seriously, Kat has more important things to focus on. Whew! I needed a realistic break from the boy-crazy protagonists of the YA world. I mean, when’s the last time you read about a heroine who has no boyfriend not because she thinks she’s too ugly or too short or too pimply (And what is up with that? There are way too many look-at-me-I’m-so-mousy female characters out there! ), but because she’s focused on saving her corner of the world? So thank you, Ally Carter. Thank you for an uber-refreshing, super-relatable, way-needed dose of reality! I do, however, have one issue with Heist Society: the characters’ pasts. This book leaves you with 101 questions about Kat, her family, and her crew. Instead of pushing me to buy the sequel, Uncommon Criminals, though, all these questions leave me with the feeling that I never completely understood the characters. My final word: 4/5 stars. For fans of mystery, adventure, and action. Pingback: Review and Giveaway of Wrecked by Elle Casey | What YA Reading?